DO YOU NEED TO SELL YOUR HOUSE FAST IN ELK GROVE VILLAGE, ILLINOIS? 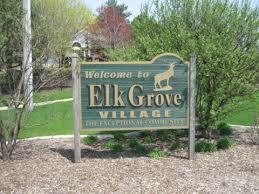 WHAT KIND OF ELK GROVE VILLAGE HOUSES DO WE BUY? Does your house needs repairs that you can’t afford, or is it experiencing fire or water damage? Worry no more because we buy houses fast in Elk Grove Village and in surrounding Illinois areas, including Chicago, Columbia, Belleville, Fairview Heights, Lebanon and Highland… basically everywhere in Illinois! There may be a lot of reasons why you want to sell your home fast. Regardless of whether you want to avoid things like bad tenants and foreclosure in Elk Grove Village or perhaps you are considering downsizing, divorce and relocation, we can help you sell your house quickly.